Haridwar, one of the seven holiest places to Hindus, is a must visit destination in India. The holy spirit of the people here is unique and their love for God is unexplainable. Every year, this destination experiences more than a million tourists from across the country and abroad. These tourists are invited with a warm welcoming by several Luxury Hotels in Haridwar. Each of these hotels have the most beautiful ambiance and offer hospitality at its best. Hotel booking in Haridwar is very easy and highly affordable. Among all the Luxury hotels in Haridwar, one of the best is The Haveli Hari Ganga. The hotel has the touch of luxury in every corner and offers more than just space and basic amenities to the guests. It includes 20 well appointed air-conditioned rooms and suites, a multi-cuisine vegetarian restaurant, coffee shop, massage & steam room, facilities for yoga & meditation, private bathing ghat on the Ganges and lot more. Besides, the associates of the hotel are very courteous and always look forward to fulfil the needs and requests of the guests. If one is looking for a comfortable and memorable stay in Haridwar, then booking a stay at The Haveli Hari Ganga shall be the best decision. The hotel in not only good in offering excellent accommodation but also perfect in ensuring that the guests are well-attended throughout their stay. 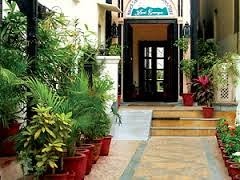 As a traveller, one always looks for the best Hotel booking in Haridwar, and for all such travelers, The Haveli Hari Ganga is the perfect answer. offers some extra services to the visitors. You can found all arrangements of worship here.They are also held some special Hindu worships like Havan, Yagya, Satya Narayan Katha, Pind Daan, Kriyakram, Mundan etc.